As some of you may know, my sister-in-law, Ann, has been struggling with complications from MS and autonomic dysfunction for many years. Recently, her symptoms have deteriorated greatly making the usual daily tasks like meal preparation and transporting her daughters to school more difficult. She will now also need to seek treatment outside of her networked medical care and city, which will create an unexpected financial burden. Since life has become so complicated for her and her family, we realized as a family that they need additional help from their community that they were not ready to ask for outside of their immediate family. 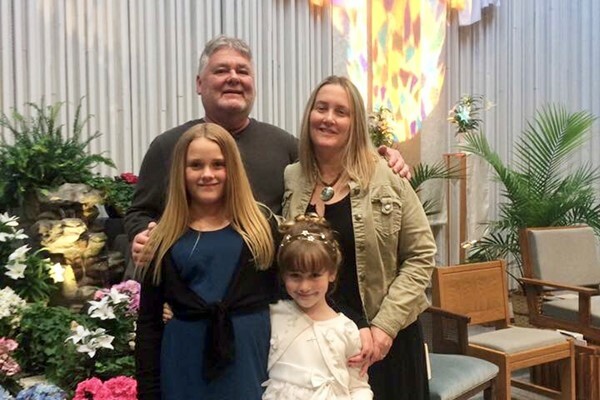 Please consider helping out with rides for Reagan and Riley to Saint Dennis school, meal options or donations that can help them with this transition as they cope with Ann’s medical treatment in the coming months. Thank you!